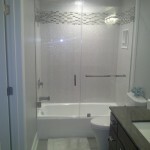 A glass shower enclosure can add sophistication and a great architectural presence to your bathroom. 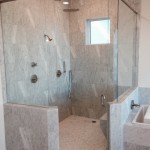 Whether you are building a new shower or updating your existing enclosure, we can provide you a shower that fits your taste and lifestyle. 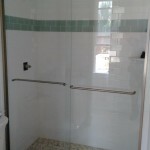 We have different types of glass to choose from, including clear, obscure, pattern, and heavy 3/8” glass. 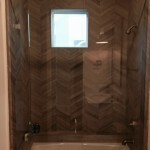 With an array of finishes, including brushed nickel, oil-rubbed bronze, and chrome, we know Guy’s Glass & Mirror will have the solution you are looking for. 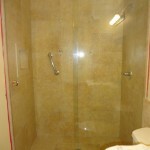 We can install a by-pass enclosure for your bath tub or a custom shower enclosure with a door and fixed panels. 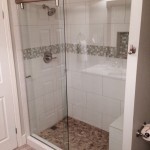 Our technician will come to your home or condo to measure your shower or bath tub opening and provide you with a quote according to your specifications. 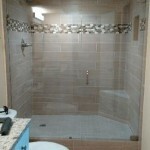 Guy’s Glass & Mirror will help you implement the perfect glass shower enclosure for your home or condo. Not in Destin? 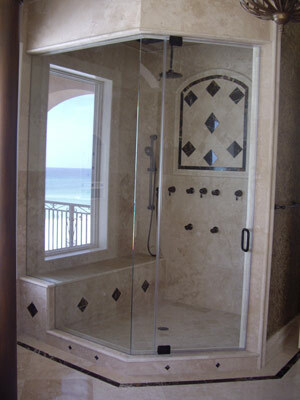 That’s okay, Guy’s Glass and Mirror services Miramar Beach, Destin and Walton and 30A glass shower enclosure needs. Contact us today for more information. 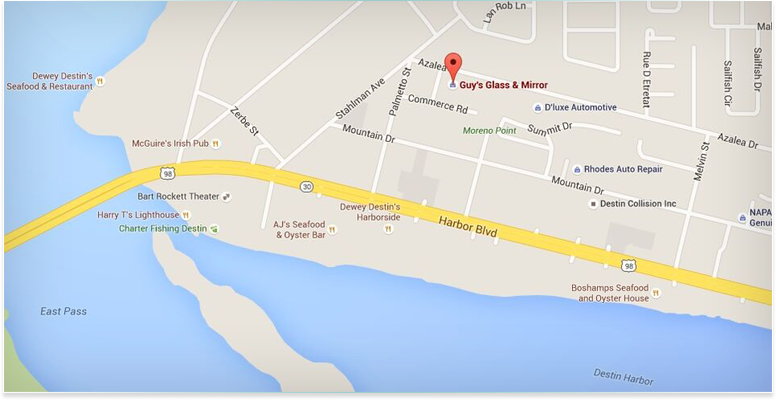 Contact Guy’s Glass and Mirror today for more information. 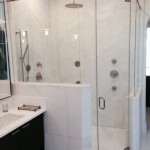 The showers and enclosures below are part of the latest trends in home design and renovation that Guy’s Glass and Mirror can provide you. 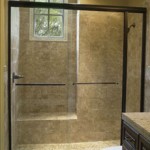 The sleek all glass designs are stylish, easy to clean, and can accommodate a variety of design ideas.